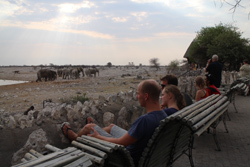 Okaukuejo Camp inside Etosha National Park accommodation guide everything you need to know before visiting Okaukuejo Camp inside Etosha National Park Namibia. 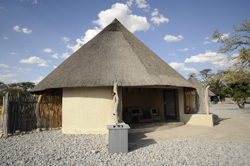 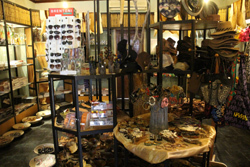 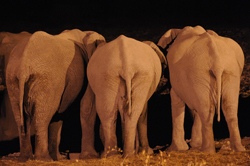 Photographs, room types, activities, facilities, location booking information costs rates and prices for your stay at Okaukuejo Camp inside Etosha National Park, read all the accommodation information about Okaukuejo Camp. 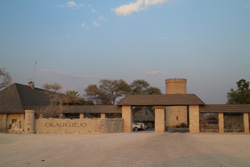 Okaukuejo, located 17km from the southern entrance of the park Anderson Gate was the first, tourist camp to open in the Etosha. 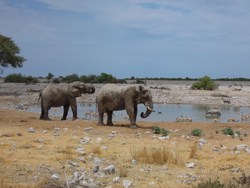 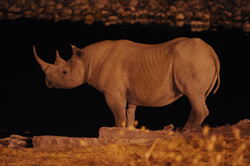 Okaukuejo is famous for its flood-lit waterhole, where visitors can observe at close quarters a spectacle of wildlife congregating and interacting. 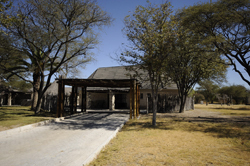 The entrance area where you will find the reception, souvineer shop, basic food supply shop, post office, kiosk for light snacks, restaurant and swimming Pool. 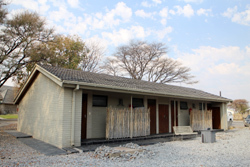 Moving further into the camp you then have the accommodation which starts with rooms, chalets, family chalets waterhole chalets then premier waterhole chalets. 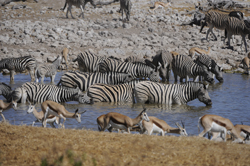 You then come to the waterhole itself. 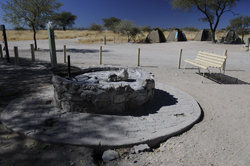 Also on the west of the camp is the camping area and on the east a small fuel station. 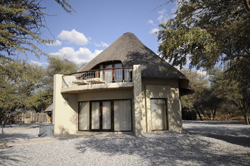 Accommodation is provided to suit every need, in premier double-story waterhole chalets with balconies overlooking the waterhole; waterhole bush chalets, bush chalets, family chalets and double rooms. 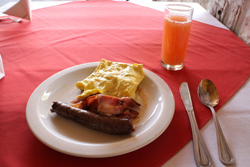 All units are provided with tea stations and fridges, and the bush chalets are also equipped with a braai area. 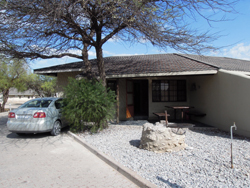 Family chalets are fully equipped for self catering.